Oceania Cruises, already known for its excellent cuisine, has enhanced its dinner menus. The new menus feature the new Executive Chef’s Food & Wine Pairing every evening and Global Cuisine dishes, focusing on bold and adventurous flavors. The Food & Wine Pairing menu offers up four courses selected by master chefs, which are then paired with four wines selected by the head sommelier. The Global Cuisine options focus on a particular region or specific country, including Asia, France, Cuba, India, United States, Spain, Thailand, Morocco, Polynesian, Greek, South America, and Japan. 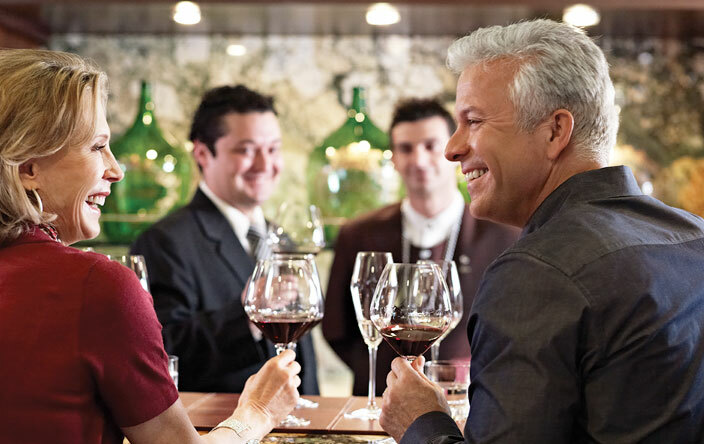 “These spectacular new menus exemplify our commitment to culinary excellence and offering our guests not just the finest cuisine at sea, but diverse dining choices that surprise and delight the palate,” Oceania President and CEO Bob Binder said. Each evening in the Grand Dining Room, guests can choose from more than two dozen dishes – six appetizers, three soups, four salads, nine main courses, and nine side dishes. Every menu incorporates vegetarian dishes along with Canyon Ranch Balanced Selections. All in all, the menus comprise more than 800 dishes. Passengers can choose as many, or as few courses as they want along with side dishes and all accompaniments, which are ordered a la carte. Guests can easily create a meal of appetizers and side dishes if they prefer or order a paired tasting menu. New additions include herb-crusted Cornish hen Diavolo, Palermo-style grilled swordfish, smoked ricotta risotto, and Paul Bocuse’s Alaskan halibut Viennoise. The dinner menu will continue to feature dishes that have long been favorites of Oceania guests. 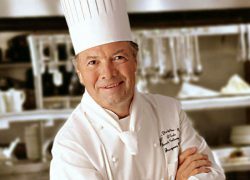 Time-honored classics include Jacques Pepin’s quartet of beef bourguignon, salmon supreme, steak-frites, and herb-crusted rotisserie chicken. The new menus are currently available on Riviera and will be introduced across Oceania’s entire fleet by August: Sirena in May, Insignia in June, Nautica and Marina in July, and Regatta in August. luxury cruises, Oceania Fine Dining, Oceania Riviera. Bookmark.